Brighton Booch - Making Kombucha Brighton's favourite drink. Brighton Booch was founded by Emma in 2010 when, after being a raw fooder, she discovered the fascinating world of ferments. Emma has run fermenting workshops in Brighton for several years and has sold Sauerkraut, Kimchi and Kombucha to customers in Brighton since 2010. But it was after making copious amounts of Kombucha for her husband (who used to be a sugary drink fiend) and encouragement from friends that Emma and her husband Pierre decided to sell Kombucha to local shops in their native Brighton and they want to make Kombucha Brighton's favourite drink. It has proven so popular locally that we have decided to sell it online to make it accessible to the whole of the UK. 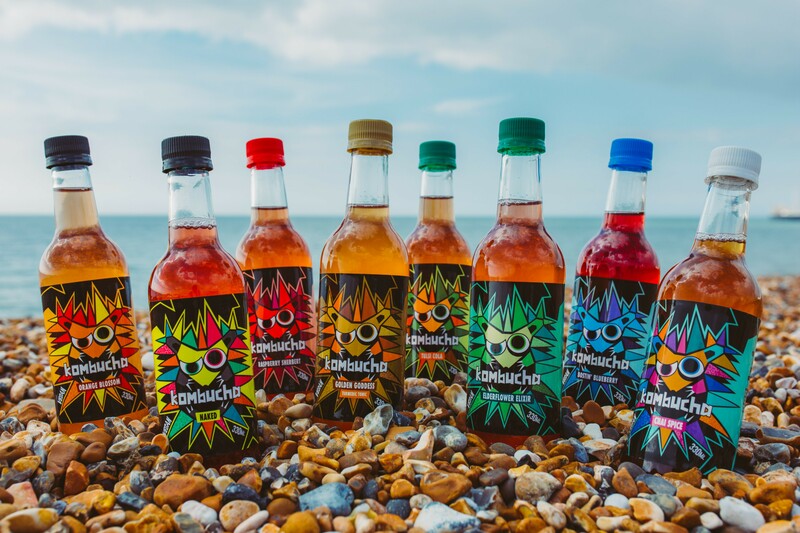 Brighton Booch Kombucha is brewed in oak barrels for a superior depth of flavour and flavoured in glass containers to ensure that at no point does the Kombucha come into contact with plastic or metal to avoid killing any of the probiotics. We are a family of daily Kombucha drinkers which means we can taste test every batch to ensure the quality of our Booch.